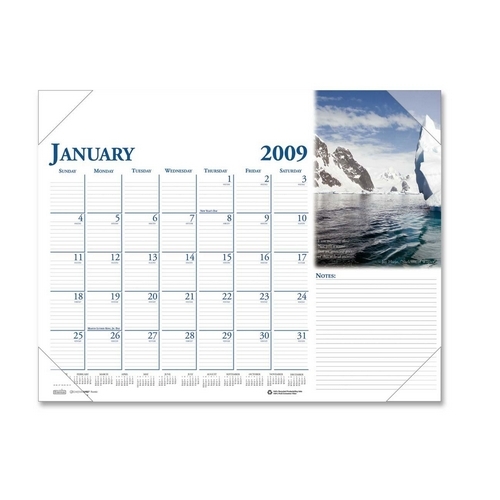 Block Size: 1.50" x 1.88"
Dated one-month-per-page, January through December, compact desk pad calendar features ample note space and a different full color photo on each page. Shows Julian dates/days remaining. Provides a full year reference calendar on each page. Desk pad calendar is printed on 100% recycled paper that contains 100% post-consumer material.